These resource sites will usually contain a more varied selection of content geared toward trading in Futures, Forex, Commodities and Stocks. This may include futures trading articles and books, commodity trading articles and books, stock trading articles and books, and forex trading articles and books. Futures and commodities courses, forex trading course and stock trading courses would also be found in this category. Here you will find various futures trading, commodity trading, stock trading and forex trading newsletter providers. Some may be free subscriptions while others are pay sites. Trading newsletters can be a great source of timely information for the futures, commodity, stock and forex trader as it can help in making good trading decisions. If you are going to trade, you are going to need a broker. This section is for brokerages for trading in futures, commodities, stocks and forex. Brokerages are listed here as a reference only. Being listed in this directory is not an endorsement by ProfitMax Trading Inc. of any particular service or offering. In chosing a broker, be sure to shop around for best service, price and security of capital. This section will contain links to services providing trading systems. 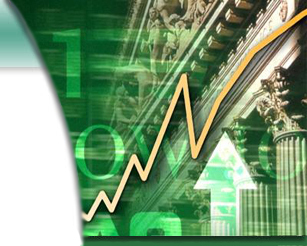 The trading systems can be automated trading systems, mechanical trading systems, or discretionary trading systems. Trading systems are for those who do not wish to make their own trading decisions or require a more strict approach to trade planning. This section will contain links to sites that may not fall under any of the above descriptions. These resources may or may not be related to trading in futures, commodities, stocks or forex. These resources may be general, such as in business opportunities.